An Eulerian-Lagrangian localized adjoint method (ELLAM) is presented for coupled systems of fluid flow processes occurring in porous media with point sources and sinks. The ELLAM scheme symmetrizes the governing transport equation, greatly eliminates non-physical oscillation and/or excessive numerical dispersion present in many large-scale simulators widely used in industrial applications. It can treat large mobility ratios, discontinuous permeabilities and porosities, anisotropic dispersion in tensor form, and point sources and sinks. It also conserves mass. Numerical experiments are presented. 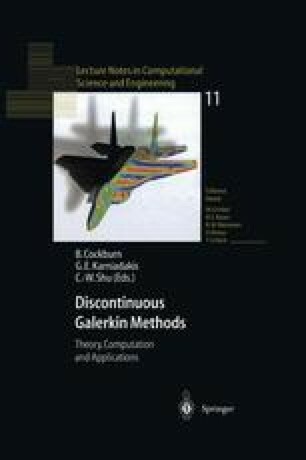 The relationship between ELLAM and discontinuous Galerkin methods (DGMs), and the possibility of developing a hybrid ELLAM-DGM scheme are discussed.